Another uniqueness is that we photograph Weddings because we LOVE them. It’s a known fact in the industry that many photographers don’t really like shooting Weddings. They photograph them because they need the money. We are in a different situation and have the luxury to choose with whom we want to work. That means we can devote more time to your Wedding (including before and after) than most other photographers. And we also have an in-home Studio, so we have far less overhead and can offer quality, cost competitive Wedding services and pass those savings on to you. Many Brides start planning their Wedding when they are little girls. And when they grow up and get Engaged, there are initially feelings of excitement, joy, pride, love and romance. But then reality sinks in and they feel frustrated, overwhelmed and stressed. There are so many details to attend to and it’s both time consuming and physically exhausting. Not only will we give you some straight talk about choosing a professional photographer, but also we might be able to direct you to a Wedding Planner who could take away those headache-causing decisions. Let’s meet in person for a “chat” to see if our personalities “mesh”. After all, we’ll be spending hours together on your most exciting, yet stressful, Wedding day. So call us at 469.223.7766 for availability of your specific Wedding date and to get together. Virtually everyone we chat with in person sees our passion for this noble calling. If we click, that’s great; if not, that’s fine too and we’d be pleased to refer you to a peer. And as a bonus for keeping your Appointment with us, we will give you a $20.00 Gift Card to Starbucks (whether you book your Wedding with us or not). The only requirement is that we ask that the Bride, Groom and any other decision-maker be present so we can find out if we are all a “good fit”. And now a word from your photographer . . . I’m a talented, nationally published Dallas professional photographer whose passion reflects in the quality of my work and I’ve just received an Award for an Outstanding Print from the local PPA Guild. I become emotionally connected with my clients to capture impactful photographic imagery. My favorite saying is: “It’s not the lens on your camera, it’s the lens on your heart”. I’ve been a photographer for 33 years and I’ve shot thousands of frames of slide film of family, travels, landscapes and wildlife. Then in 2002, I fully transitioned to digital and in 2009 I decided to follow my passion and turned professional. This has been an amazing educational journey by studying the artistry of the old time painting masters, the nuances of lighting and posing and being guided by some of the most well-known and accomplished present day photographers in the world. I use this knowledge to create an authentic photographic narrative of your enduring Love Story on your Wedding Day. By engaging me as your personal Wedding photographer, I can also create a package especially for you. Ala Carte options include an Engagement Session, an Engagement Album, a Bridal Session, full day Wedding coverage including the Reception, a custom-designed Wedding Fine Art Book, Parent books and large Portraits printed on high-end, professional photographic paper or on beautiful, gallery wrapped canvas. Both the Album and portraits are optimized as “Artist Edits” to create that “WOW” factor. These become valuable and tangible evidence that serves as an enduring reminder of your special Wedding day. Any package includes a complimentary Music Video prepared from selected still photographs of your Wedding. In addition, you will receive a CD/DVD of your images with a Copyright License to post them on your Social Media/Blog and also to email them to your friends and relatives. I also maintain an e-Commerce website where individual photographs may be purchased. I’ve photographed thousands of images of Events, Weddings, Glamour/Fashion and Portraits including a Destination Wedding in Calcutta, India. In addition to memberships in PPA and WPPI, I’m an Active Member of the local Guild, the Dallas Professional Photographers Association (DPPA), perhaps the most prestigious Guild in the country. I’m perpetually searching to refine my techniques as I understand that maintaining the status quo is actually falling behind. Our Uniqueness . . .
1. OUR GUARANTEE. We absolutely guarantee that you will be thrilled (not just satisfied) with your portrait or we’ll do whatever to please you. 3. Our desire to create a PORTRAIT THAT “SPEAKS” TO YOU so that every time you look at it, you have a WARM, FUZZY FEELING that becomes a PRICELESS EMOTIONAL STATEMENT. 4. We want to a create portrait that is even MORE BEAUTIFUL THAN YOU DREAMED IT WOULD BE . . . a portrait that you can truly be thrilled with. 5. WE WILL HELP YOU WITH YOUR CLOTHING DECISIONS. This is very important. Proper clothing can not only make a huge difference in the final product, but also it can be viewed as an “instant diet”. 6. We understand that MANY PEOPLE DON’T FEEL COMFORTABLE in front of a camera. As such, we work carefully with you so we all have fun during your Portrait Session. 7. Within reason, we make every one of our clients look their VERY BEST in their portrait. Every final portrait image is carefully OPTIMIZED and beautifully ENHANCED. 8. No one will THROW THEIR HEART AND SOUL into creating beautiful and meaningful portraits for you than we will. That’s what we LOVE to do! 9. We schedule FEWER SESSIONS each week than other photographers in the area. That’s so we can invest more time with you and create something really meaningful, rather than rushing you through like a factory. Marc Friedland Photography was the Photographer for a Dallas political panel discussion featuring Michael Medved, the radio talk show host featured on KSKY-660 AM. One of my many photographs was featured in the Washington, D.C. sponsor’s email newsletter that was sent to Dallas area supporters. The noted panelists were Jonathan Podhoretz, Daniel Pipes and David Frum and I also captured multiple images of them. More people are becoming aware that my commercial photography business concentrates on quality images that either capture the moment or tell a story. Whether people are looking for a Dallas Wedding photographer OR people or businesses are looking for a portrait for their wall, social media site, business card or promotional brochure, Marc Friedland Photography can be there to solve the problem. What a blast to follow my photography passion and have fun doing it! This shoot was at the Marc Friedland Photography studio where the models had several different wardrobe changes and make-up adjustments as I was checking the lighting and changing backgrounds. I was particularly pleased how the white background images turned out. This “high key” technique requires lighting the background with two strobes and then lighting the subject at angles from the sides of the camera. I used a Norman 60″ Octabox and a medium size Softbox. I continue to hone my craft as a photography professional. I need to post additional images from those I took at the Texas School of Professional Photography and a charity Fashion Show. Marc M. Friedland of Marc Friedland Photography is a talented Dallas, Texas professional photographer whose passion exudes both in the quality of his work and his enthusiastic personality. His 32-year love affair with location and studio photography focuses on Weddings, Events [Corporate or Personal], Portraiture and Commercial work to include Glamour/Fashion and Business Promotion. I continue to “hone my photography craft” and am proud of a Slide Show I created on another Wedding I shot in the Dallas-Ft. Worth, TX area. I’m a Dallas, TX freelance photographer with a full complement of professional Canon and Quantum equipment that travels with me on location. My work spans Weddings, Glamour/Fashion, Studio & Environmental Portraiture, Corporate Events, Political Conventions, Legislative Galas and Private Parties. Last month, I shot four NBA All-Star Weekend 2010 parties for Girls Do Talk, a TV Internet show. These parties were like the ones you see in Hollywood with the red carpet, white background with logos and celebrities posing for photos and interviews. And this past weekend I did an outdoor model shoot [group and individual images] with 17 models at Cottonwood Park in Richardson. I’m in the midst of finishing up the optimization of the latter. I’ve also done a number of party events with Girls Do Talk including the Josh Howard Celebrity Event at the House of Blues, the NFL FYLHT Party at the Cavenaugh Flight Museum, the opening VIP Event for Dallas Urban Fashion Week at Millennium Motors/follow-up Fashion Show at The Grid and shooting stills at the video taping of their live TV show at Bengal Coast. Also have shot at the State Republican Party of Texas Convention, several Legislative Galas for the National Assn. of Insurance and Financial Advisors and a going-away party for a well-known photographer. My Studio in Far North Dallas is equipped with a Norman P800d Power Pack, 4@ LH2400 Heads w/Blowers, 1@ LH2000 Head, 2@ Photoflex Q39 Medium Softboxes, a Norman 60″ Octabox, a Norman 22″ Beauty Light w/honeycomb grid, a Norman TriLite w/slide projector–all triggered with Quantum wireless transmitter/receiver and I use 10′ x 36′ backgrounds in white and black. I’ve been told on numerous times how professional I am and how I interact with the subjects of my photography. I shoot in Camera RAW and optimize my images using Adobe Lightroom 2.0 and Photoshop CS4. I’d be pleased to learn more about your venue and how we might work together. I’ve got the talent and equipment to get the job done! In addition to my photographic skills, one of my additional strengths clearly lies in Client Service. At virtually every function or individual shoot, I continuously receive compliments on how I interact with those I am photographing. One of my favorite sayings is “It’s not the lens on your camera, it’s the lens on your heart.” A professional photographer needs to understand his subjects so as to bring out the best in them. I have fun and a positive attitude while I shoot. 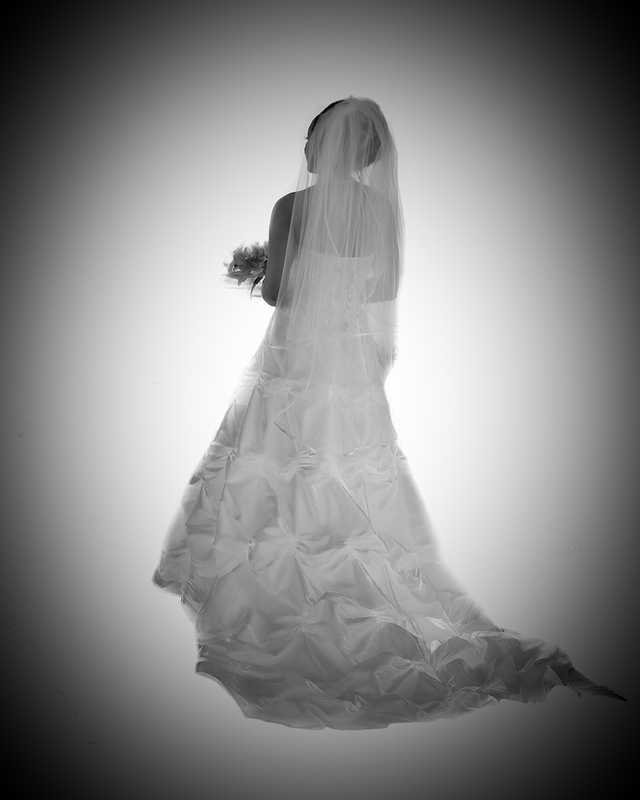 Marc Friedland Photography Welcomes You to This Blog! I’ve just setup my new Flash e-commerce Website at: www.MarcFriedlandPhoto.printroom.com. It automatically displays 15 Flash slide show images when you log on. The different Galleries are listed at the left for Weddings, Events and Portrait sessions. Customers may click on a Gallery and browse via the Slide Show button at the top right of the Gallery and also adjust the speed of the show. They can click on an image and it will be saved to their Shopping Cart. The Website handles credit card payments, adds Sales Tax and shipping and coordinates the printing of the order and sending it out to directly to the customer. In addition to this e-commerce Website that serves as a hosting site for displaying and selling individual prints and other items, you can view samples of my photographic work regarding Weddings, Glamour/Fashion and Headshots at my regular Website: www.MarcFriedlandPhoto.com. Clicking on each of three Galleries will provide you an opportunity to scroll through the images in each Gallery. I welcome the opportunity to help you capture memories in a medium that will last your lifetime.